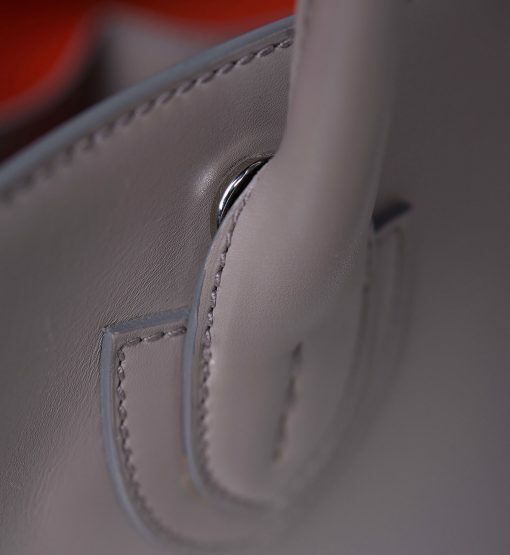 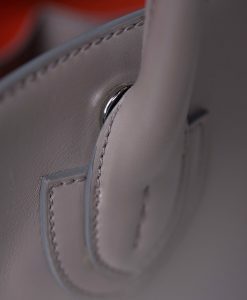 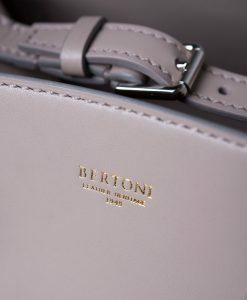 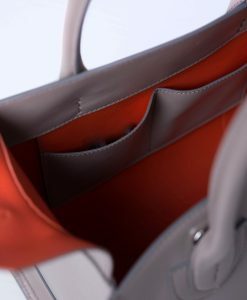 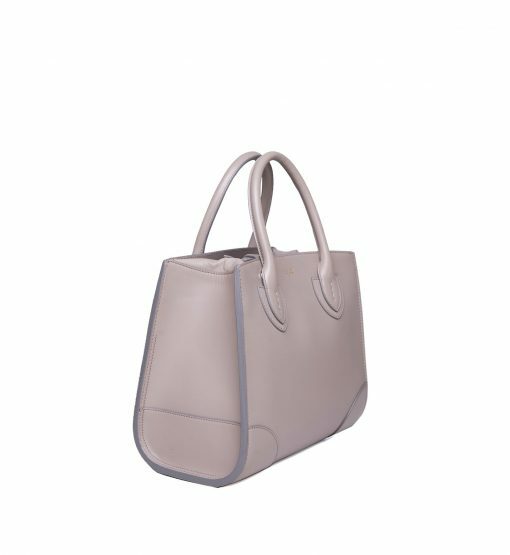 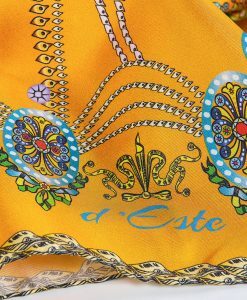 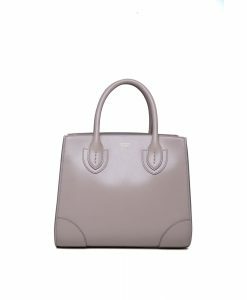 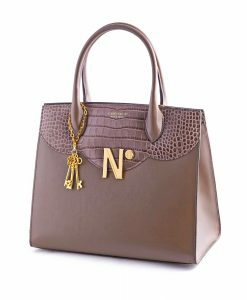 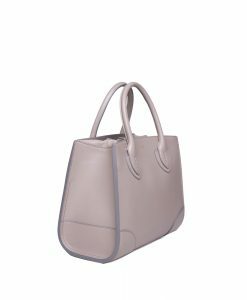 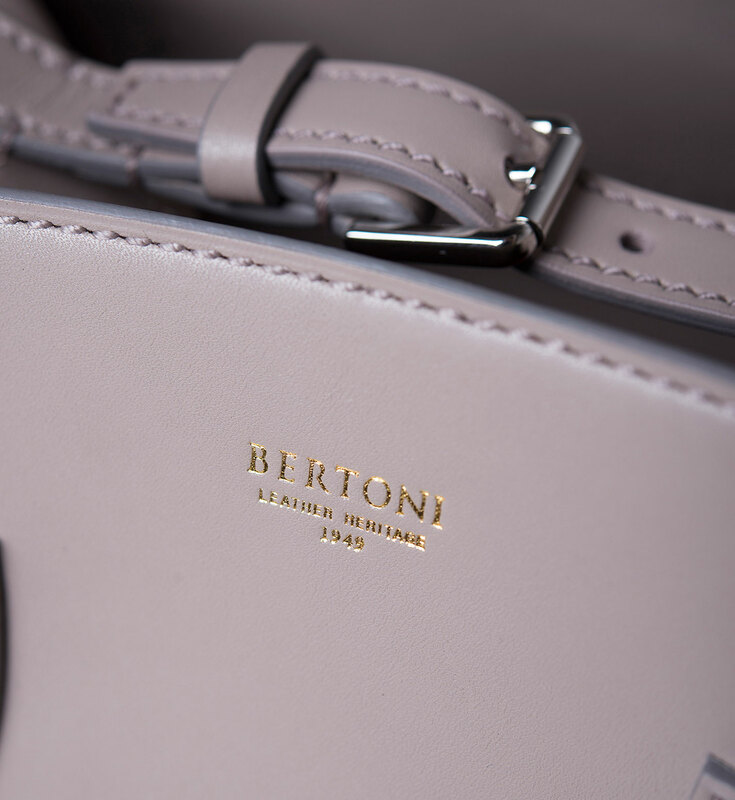 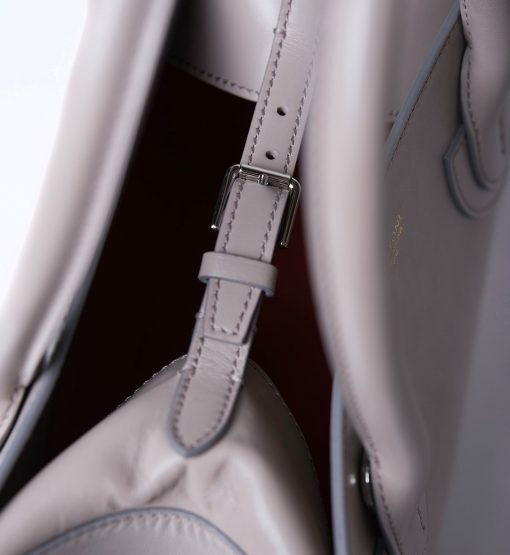 Bertoni 1949 ‘Darcy’ tote has one of the most versatile designs. 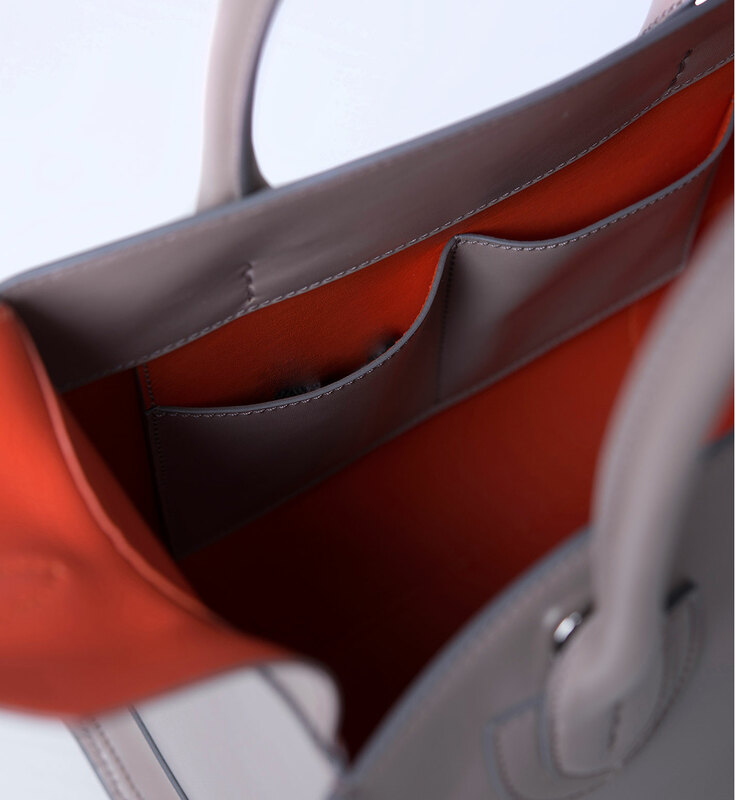 Expertly made in Italy from taupe French leather, it has a contrast orange leather interior spacious enough for organizing a tablet, documents and your daily essentials. 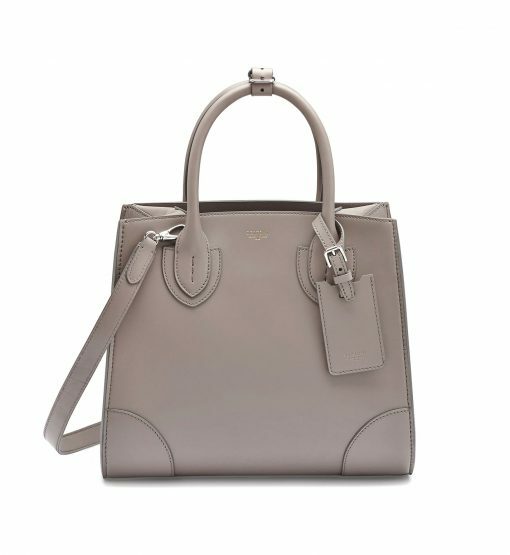 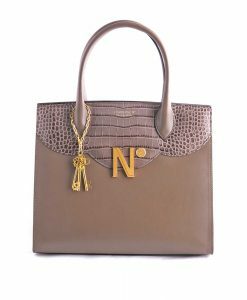 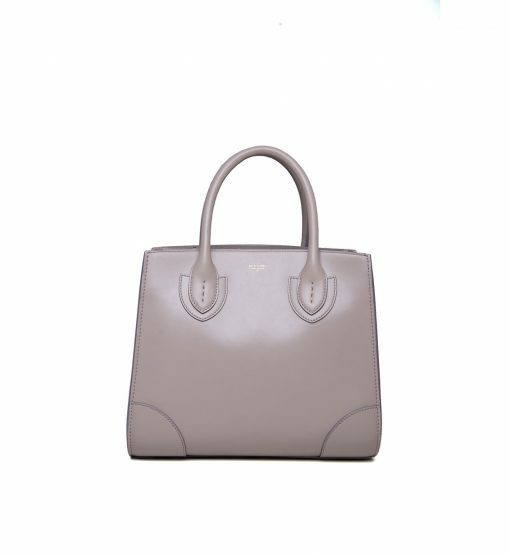 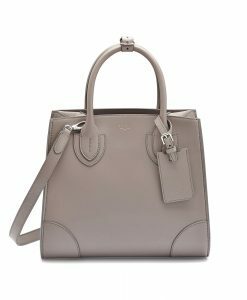 Warm taupe hue will help you to match the bag to absolutely everything in your wardrobe. 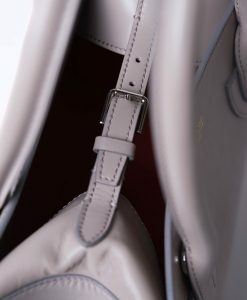 Attach the shoulder strap for an optional use. The detachable luggage tag makes it ideal for flights.